We didn’t want to talk about it until everything was fully settled, but we are now residents of an architectural icon with a pretty ridiculously excellent view. Full props to beltzner for scouting out office space, and to ben for orchestrating the move; it’s been a crazy couple of weeks! Q: Did that say 12811? Seriously, this can be a bit of a trick the first time. If you come in through the usual entrance, you’ll be sort of pipelined into the “tourist” sections of the tower. Those elevators won’t go where you want them to, and the visit will end up costing you significantly more. Instead you want to take a hard left when you get in, and follow the signs for “Tower Offices.” If you get lost, ask one of the tourist reps, they are (unsurprisingly) used to this confusion. From the office elevators, it’s about a 70 second trip to 128, and we’re the 5th door on the right. A. We do! As tenants we get basically a pad of discount coupons. Visit us first, and we’ll tear you off a few. A. Oh there’s a view. Unfortunately, we only have some cameraphone pictures from our move-in day right now, but we’ll get better ones up soon. In the meantime, here’s a taste. This entry was posted on Tuesday, April 1st, 2008 at 1:34 am	and is filed under Life, Mozilla, Work. You can follow any comments to this entry through the RSS 2.0 feed. Responses are currently closed, but you can trackback from your own site. You got some perspective-distortion field on your windows there? 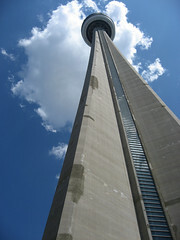 Don’t you just crap your pants up there? That’s why too high. You’ve got quite a lean in the last picture, Are you sure the building’s safe? 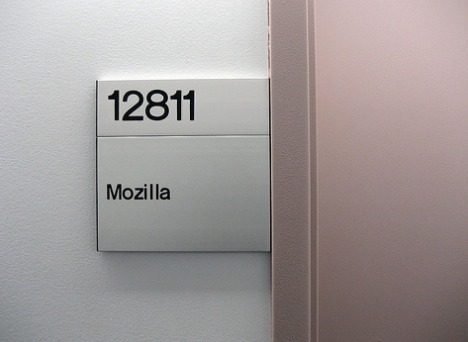 @Question – You don’t need to work in our buildings to help out with the mozilla project! Join us on irc.mozilla.org or find an interesting bug in bugzilla.mozilla.org and pitch in! Did you know that we have an office in Beijing? @Matt – There’s a weird effect caused by the slant of the windows – you can see an external shot from beltzner’s post, linked to above. @Jeria – And it sways in strong winds! Re-assuring! @Decryptor – Yeah, as I said to matt, the angle of the windows (which the camera phone picture really doesn’t show, I guess) makes things look scarier than they are. @Cornelius – Heh, I guess I did post this April 1, so that’s a fair question – what kind of proof would you like? Yes, Mozilla bejing’s office is quit near our office. And we are developing our product base on xulrunner. It’s my honor to spread Firefox to all my friends. I’d really feel great to work with all of your guys in both irc and mail list.